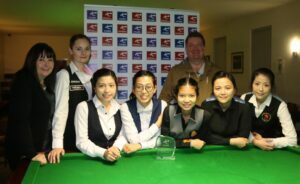 Reanne Evans claimed her second title of the 2017/18 season with a 4-0 victory against Nutcharut Wongharuthai at the British Open on Sunday evening. The 11-time world champion was in fine form throughout the day having earlier seen off Laura Evans and then world number four Rebecca Kenna with breaks of 103 and 102 in the semi-finals to reach her fourth consecutive WLBS final. There she would await 18-year-old Thai talent Nutcharut Wongharuthai who playing in her first competition in the UK, defeated the likes of established stars Maria Catalano and reigning world champion Ng On Yee 4-2 to reach her maiden final. It was however to be Evans’ day, as ultimately ran out a comfortable winner in the best of seven frame final. Following defeats at the UK and Masters tournaments before Christmas, the 32-year-old was pleased to be back in the winner’s circle with next month’s World Women’s Snooker Championship fast approaching. “I’ve been struggling for form,” said Evans. “But I felt a little bit more comfortable today, and I am happy with the win. It has been good to see everyone again this weekend and to be back competing at a tournament after a little gap in the season. “I am now looking forward to the World Championship and hopefully going into the tournament with this win here will put me in good stead to continue that form in Malta. I would like to thank my sponsor Bobby Lee and Elite Studios, who will also be sponsoring me in Malta which is a big help. And despite her comfortable victory in the final, Evans was also impressed by her young opponent who made such an impression on her UK debut. 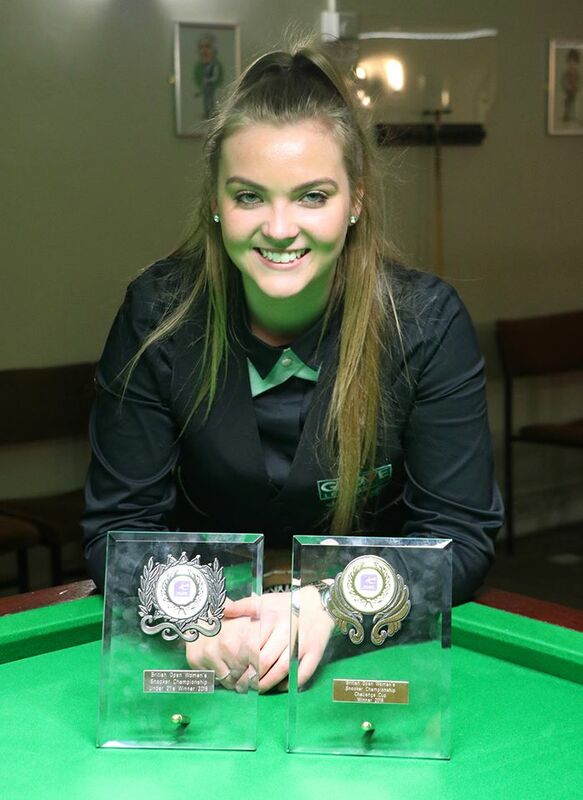 Elsewhere at the British Open there was a title double for Emma Parker, who claimed victory in both the Challenge Cup and Under-21 competitions in Stourbridge. The 18-year-old first defeated fellow youngster Shannon Metcalf 3-1 to win the Challenge Cup for players who had not progressed beyond the last 16 of the main competition, before edging a dramatic final against Stephanie Daughtery later in the day to add the Under-21 title. 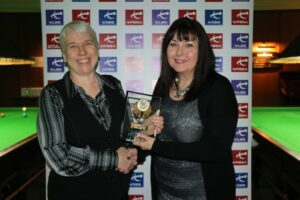 As well as the trophies, she also won a cue generously as an extra prize for the Challenge Cup winner by Dean Jones Cues. 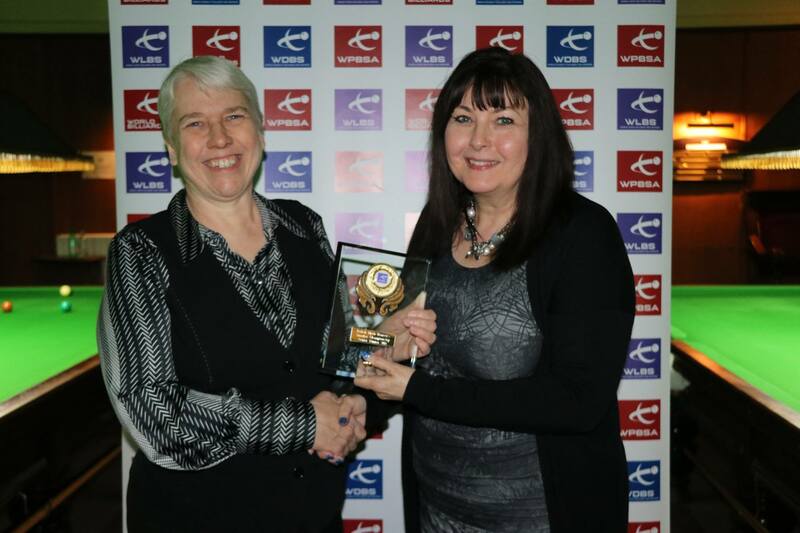 Finally, the Seniors competition was won by Jenny Poulter, who maintained her unbeaten run in the over-40s events this season with a 2-0 success against Sharon Kaur. 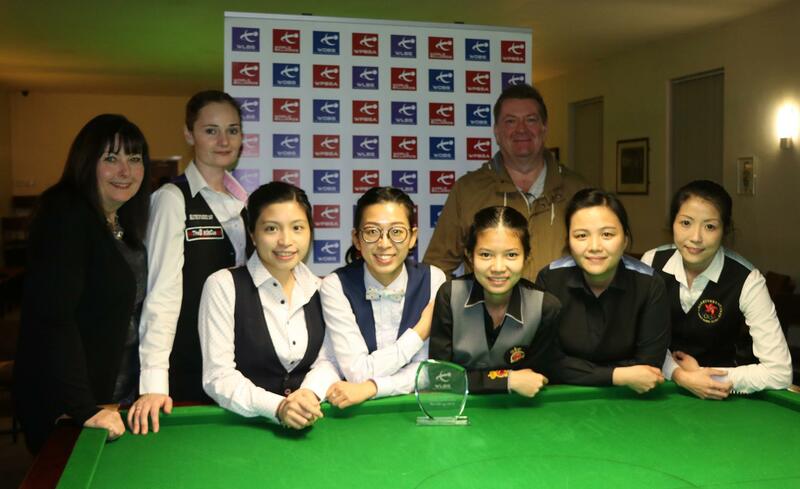 The World Women’s Snooker Tour will return next month with the World Women’s Snooker Championship, which for the first time will be staged as part of the new World Snooker Federation Championships in Malta from 14-17 March.